Circle clutch in crochet raffia in a pineapple motif. Wooden handle, 4" drop. Open top. Lined with slip pocket. 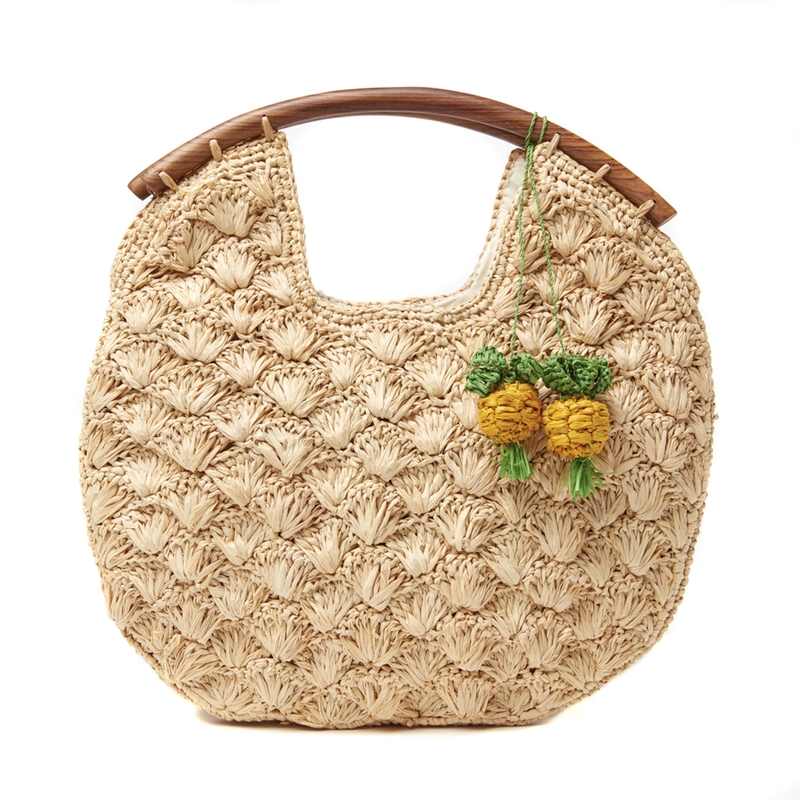 Handcrafted sustainable accessories from the island of Madagascar.